It’s good to see S&W Whitebox get some commercial attention, it’s been a few years since we’ve seen any mo vement on that front. Barrel Rider Games has a couple of new supplements out on RPGNow. 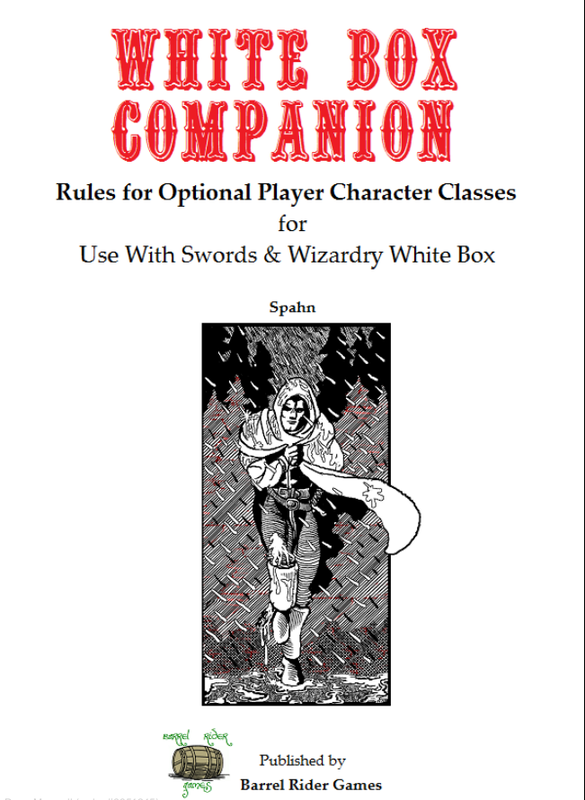 White Box Treasures and The White Box Companion. Both are short at about 15 pages but with some great, original content. I particularly like the unified d6 skill mechanics and suggested house rules noted in the Companion for Druids, Thieves and Rangers. They fit well with the simplicity and open nature of the Whitebox rules. 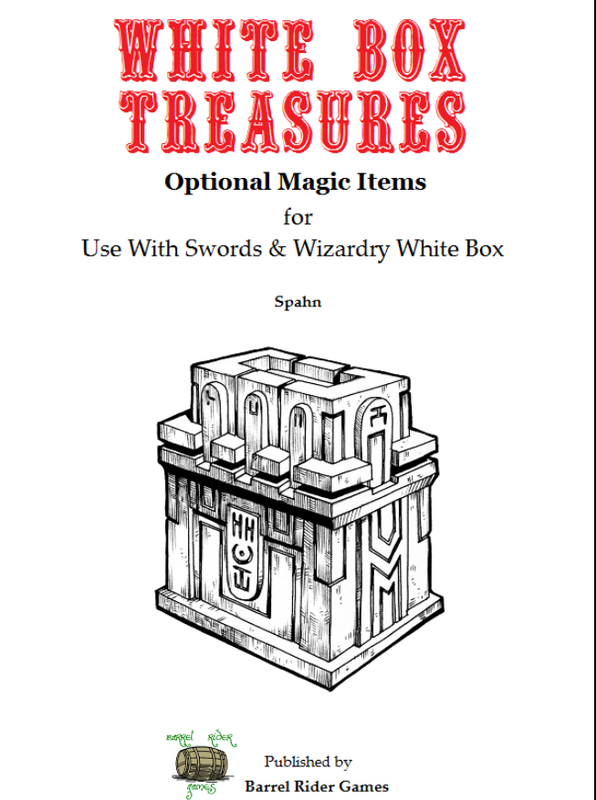 The new treasures include swords, staves, wands, weapons, armor, scrolls, potions and artifacts, over 100 new items in total. Of course, any of this can be used with OD&D and its various clones quite easily. The only thing missing from these is interior art, which would help fire the ima gination, but that certainly does not impact their usability. And at $2 each, I can’t complain. Take a look if you want some new material for your 0e games. [Updating to add – in the few weeks since I’ve posted this, James Spahn of Barrel Rider Games has published four more White Box supplements – a bestiary and adventure trilogy, as well as an omnibus with all six products combined. From the looks of the rpgnow front page, all are selling quite well. This is excellent news for S&W White Box fans, and I think shows that there is an untapped, latent interest in the game that never went away when active development of it ceased in 2011].